Ken Griffey Jr. prepares to launch his record-tying eight Opening Day homer in 2009. 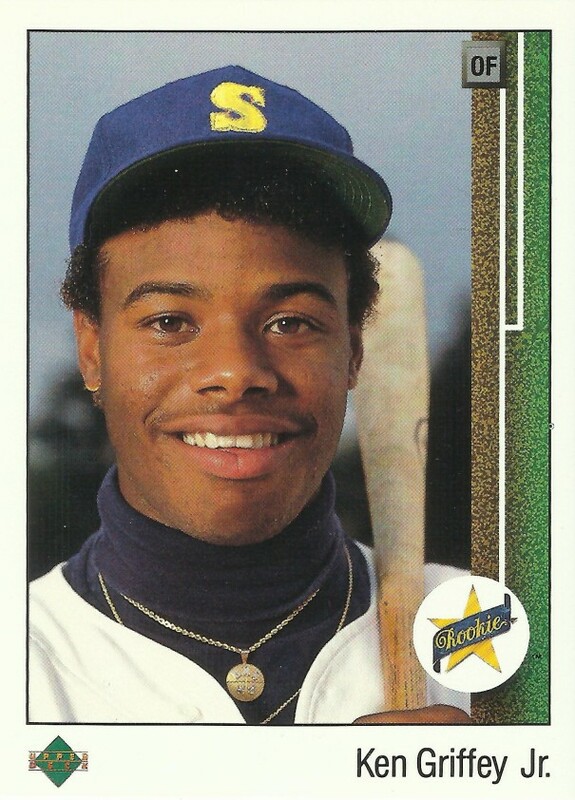 Ken Griffey Jr. made his Major League debut for the Mariners on April 3, 1989, doubling in his first at-bat against A’s right-hander Dave Stewart. That Opening Day game in Oakland already has been highlighted once during the countdown to Sydney, back when we featured Hall of Famer Dennis Eckersley at No. 43, noting Eck’s first save on the way to his team’s World Series title that year. So now we’re looking at how that game began — and how it literally all started for one of the greatest players in Major League history. Junior would become the baseball trading card of choice with his famous Upper Deck rookie card above, and ultimately a 13-time All-Star with 630 home runs. But what made us go with him on this day, where Willie Mays — arguably the best all-around player in history, right there with The Bambino at the top of Mount Baseball — made No. 24 iconic? What about Rickey Henderson? Tony Perez? Early Wynn? Or maybe Miguel Cabrera, for a modern megastar? We honor Junior here because of what he did an incredible 20 years almost to the day since that MLB debut. Take another look at this MLB.com video and let all those years wash over you again. . . . Opening Day Magic. 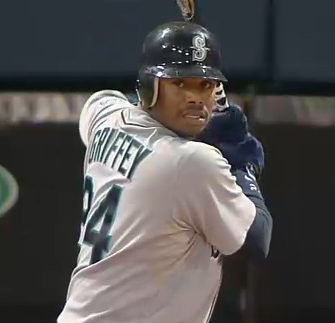 Classic Griffey. Who should be No. 23? Pingback: Days ‘Til Opening Day….24 « It's Always A Good Dre in L.A.
With due respect to Griffey Jr……….over Willie Mays! Mays was the best player I ever had the pleasure of seeing. And that includes all uniform numbers! !